You can subscribe to the RSS feed for chart 61G, which allows you to always receive the newest NM. 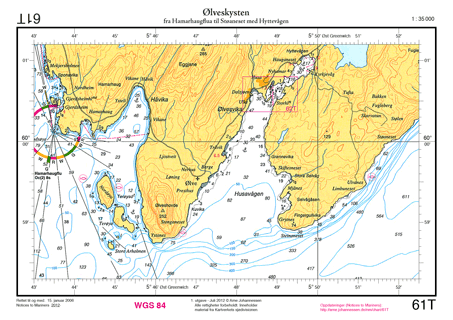 Amend the number of chart 61T “Ølveskysten fra Hamarhaugflua til Støaneset med Hyttevågen” to 61G. Remark: Light character and other sectors unchanged. New sector limit 16.6° passes 185 m 460 m W of Fjæreflu beacon. The 1st edition of chart 61T “Ølveskysten fra Hamarhaugflua til Støaneset med Hyttevågen” bears the small corrections date 15 January 2006. Arne’s NM have now reproduced all chart updates that were previously issued by Kartverket Norway up to and including Efs 13/12. Chart 61T is therefore now revised up to and including 15 July 2012. The following is a list of all NM that need to be applied to the 1st edition of chart 61T to get it up to date. Remark: Arne’s NM are not checked by a hydrographic office or any other entity. You should consider cross-checking these chart updates with your copies of the official Norwegian Efs and chart NO 22. Amend small corrections date to 15 January 2006 (certain copies only). Remark: certain copies only. 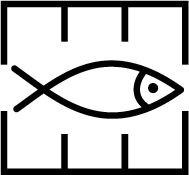 See also NM 147. Remark: Light character and colours unchanged. Remark: Efs 08/09 includes a sketch of the situation on page 361.